There seem to be a lot of filmmakers out there intent on recapturing past glories. And by past glories, I mean stuff us genre fans have come to love about the past. Examples would be Tarantino's Death Proof as an ode to the grindhouse, and Adam Green's Hatchet series, paying homage to slashers. 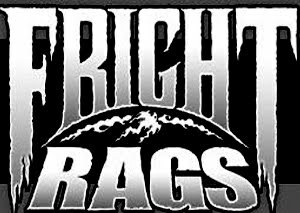 The problem is that horror, at least mainstream horror, is full of ironic touches and references. To make a true grindhouse type film is a chore, the classics were made with genuine earnestness, not made as a joke or to be funny. Now along comes The Turnpike Killer. It is not mainstream, it's not ironic, and it is not nice. This is grindhouse era exploitation. The Turnpike Killer is not made for a wide audience. This is a movie with a specific target. I has a feel it wants and it goes for it with reckless abandon. This micro-budget (about $1200, I have been told) slasher wears its influences on its sleeve. We are talking Maniac, Henry: Portrait of a Serial Killer, perhaps a little New York Ripper. This flick is dirty, grimy, gritty, and rough. Exactly the elements you want in a movie like this. The story is a simple one, the aptly named Jon Beest is an absolute beast of a man who hears voices telling him of sins and chosen ones and other such nonsense. It is his job to do the job that needs to be done. Besides finding the chosen one, that apparently includes cleaning the streets of anyone deemed inferior, a sinner, or otherwise corrupt. Basically, we follow Beest as he chokes, slashes, and guts his way through a series of people, primarily women, while ditching them along the New Jersey Turnpike, hence his being dubbed the Turnpike Killer. The movie is far from perfect. I has it's share of technical issues, including sound drops, poor lighting, and the occasional out of focus sequence. Beyond that, the film has a very gritty and grainy look, which I suspect was on purpose, partially to hide the budget, but also to help recreate that grindhouse look and feel. The acting is also a little scattershot, but for he most part is rather effective. I have to be honest, I was not quite sure what I was getting myself into, but I am happy to report I was pleasantly surprised by what I found. This is the sort of movie that works in spite of, or maybe because of, the lack of budget. Sure, the story is very reminiscent of Maniac, but it is a case of the homage being executed well enough to make you overlook it. Besides, you will be too busy feeling disgusted, dirty, and in need of a shower to think about other movies while watching it. 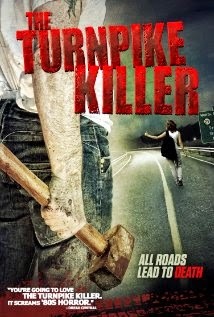 The Turnpike Killer is a good example of what you can do when you have a dedicated cast and crew who want to make the movie work despite the lack of funds. While some of the acting is suspect, much of it plays into the style and, to be honest, I was intrigued by Bill McLaughlin's performance in the lead role, ably switching on the charm when needed and then just completely snapping in fits of rage. I would certainly not want to be on his bad side! While much of the direct violence is committed off screen, it does not change the way you react to it. This is a visceral movie with a lot of blood and violence lurking behind each cut. You will cringe, you will get knotted in the pit of your stomach, you will yearn to watch something a little lighter, perhaps a Disney film, when it’s over. No, not the best I have ever seen, but it certainly does the job. It wears its influences like a badge of honor and does not have a hint of irony on its bloody hands. It is a solid reflection of the era it pays homage to. It presents a compelling bad guy and hints at a larger history, a bigger picture with implications beyond its frames. It will not be for everyone’s tastes and I think that is just the way they want it. The Turnpike Killer was written and directed by team of Evan Makrogiannis and Brian Weaver, who followed this feature up with a movie called The Super (which I have not seen yet). With their debut feature they showed that a lot can be done with very little and they also know how to get under the skin and make the audience feel dirty. You can get the movie on DVD at Amazon.com.